The success of Al Gore’s global warming shockumentary An Inconvenient Truth has created a very convenient truth for companies that sell “carbon offsets,” reports today’s edition of The Tennessean: Rising sales. 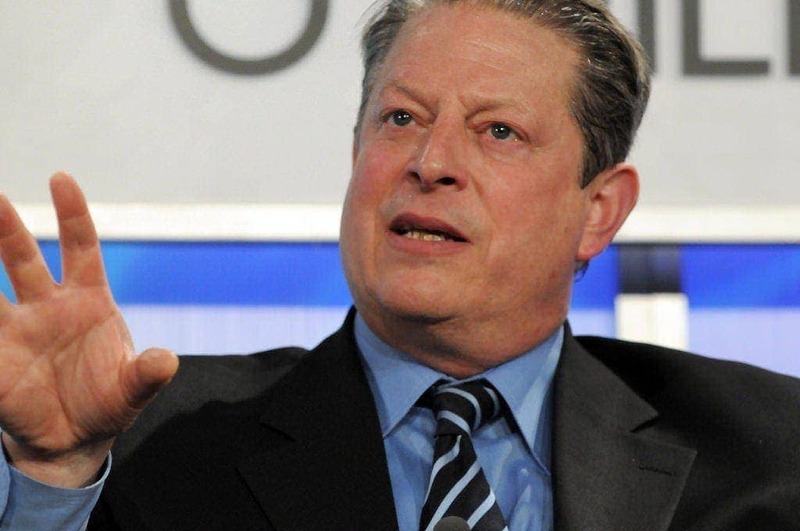 Meanwhile, it turns out that the company from which Gore gets his own carbon offsets spends very litle of its revenue on carbon-offsetting projects, according to a recent study by the Tufts University Climate Initiative. More on that in a minute. Offsets aren’t a new idea, but they’ve become more popular since release of the film. While green-conscious consumers insist every little bit helps, doubters accuse them of falling prey to scientifically unsound hype. Carbon Trade Watch has released a report, The Carbon Neutral Myth – Offset Indulgences for your Climate Sins. Scratch the surface, however, and a disturbing picture emerges, where creative accountancy and elaborate shell games cover up the impossibility of verifying genuine climate change benefits, and where communities in the South often have little choice as offset projects are inflicted on them. This report argues that offsets place disproportionate emphasis on individual lifestyles and carbon footprints, distracting attention from the wider, systemic changes and collective political action that needs to be taken to tackle climate change. Promoting more effective and empowering approaches involves moving away from the marketing gimmicks, celebrity endorsements, technological quick fixes, and the North/South exploitation that the carbon offsets industry embodies. You can download the report here in an 80-page PDF file. As for the movie’s impact on carbon offsets, The Tennessean reports that the makers of An Inconvenient Truth claim it was itself “carbon neutral” because the movie producers purchased offsets through a company called NativeEnergy. And in a nice bit of you-scratch-our-back-we’ll-scratch-yours, NativeEnergy promotes An Inconvenient Truth on its website. The Tennessean story also contains this bit of info about Gore’s investment company, Generation Investment Management, saying that it “also is involved in offsets, but it doesn’t sell them.” A few months ago, when Gore’s personal energy usage was in the news, a Gore spokesman told the paper that Gore was “carbon neutral” because he purchases carbon offsets through Generation Investment Management. That has turned out not to be true. Instead, Gore’s company buys carbon offsets from CarbonNeutral “in order to offset the carbon that results from its business and staff activities, including commuting and air travel,” The Tennessean now reports. Neither Gore nor the companies’ employees pay for their offsets – they are a part of the employee benefits package, a perk, according to this story from CNS News a few weeks ago. Gore’s London-based employee-owned company, Generation Investment Management (GIM), purchases — but isn’t a provider of — carbon dioxide (CO2) “offsets,” said spokesman Richard Campbell. GIM is strictly an investment firm that considers how eco-friendly corporations are in assessing long-term sustainability, Campbell told Cybercast News Service by phone from London.“We do not invest in any activity of carbon offset. That’s nonsense. We are a fund management business that does sustainability research,” he added. The confusion, Campbell said, arose because GIM pays to offset the energy use of its operations and the personal emissions of its 23 employees, including Gore. So, the firm will cover the cost to offset the energy use at Gore’s home, or his global jet travel, as it would the offset cost of any other employee, Campbell said. CarbonNeutral is a target of carbon-offsets critics – and, as I’ll explain more fully later in this report, for good reason. Many governments in the developing world worry about the probity of letting rich nations carrying out carbon offsetting in their countries – they call it CO2lonialism. One day soon, countries like India, China and Brazil will probably have to accept their own limits on emissions. At that point, they may discover that the easiest, cheapest offset options have already been used up by western companies. What does seem fair criticism is that efforts to portray offsets as simple, quick fixes pose serious questions of both commercial and ecological legitimacy. Sceptics argue there is no substitute for cutting emissions. For them, “dump, burn and offset” is the worst possible outcome. In February a radical group called London Rising Tide occupied the office of CarbonNeutral, accusing the company of creating a “smokescreen” behind which corporations will be able to keep increasing emissions. That is a political judgement rather than a scientific one – as far as the climate is concerned, a tonne of CO2 pulled out of the atmosphere is as good as a tonne of CO2 that never entered it – but the group still has a point. Buying an offset implies a degree of certainty that we do not have. James Hrynyshyn, a freelance science journalist in western North Carolina with degrees in marine biology and journalism, who writes the science blog Island of Doubt, has more on Pearce’s report here. As is to be expected with new business opportunities, the quality and standards of voluntary offset companies vary widely – or as one of our reviewers put it: “Its the Wild West!” Some offset companies are run by very seasoned carbon trading experts who are well versed in all the issues that surround carbon trading, others are much less experienced and are either using carbon offset to further promote their environmental or humanitarian missions or see the emerging market as a financial opportunity. Neither of these objectives is inherently bad, if the offsets that are sold meet high standards, yet unfortunately that is not always the case. For a company that claims to specialize in “sustainability research,” Gore’s Generation Investmentment Management picked a lousy source for its carbon offsets – on average, less than a quarter of the money GIM spends on carbon offsets from CarbonNeutral actually get spent on projects that reduce or soak up carbon emissions. Shopley will be speaking at the Green Marketing conference about the business of climate change, brand and marketing strategy, and what it means to become CarbonNeutral. And he and The CarbonNeutral Company “will host a private screening of Al Gores film An Inconvenient Truth, together with after film panel discussion on the links between brands, climate change and business growth,” according to an events listing on CarbonNeutral’s website. What about the links between carbon offsets and actually, you know, reducing carbon emissions? Not on the agenda. CarbonNeutral is a for-profit business in the business of selling carbon offsets based on concern over climate change. And rising concern – fueled in part by An Inconvenient Truth – translates into rising sales, and rising profits for Carbon Neutral. You don’t think the other 77 percent is all overhead, do you? So, if CarbonNeutral isn’t all that hot, who is? The AP story also mentions the December 2006 report from Clean Air Cool Planet, which evaluated 30 offset providers and concluded “there is considerable room for improvement, even among the top providers.” Clean Air Cool Planet also gave high rankings to Atmosfair, Climate Friendly and Sustainable Travel International, and to U.S.-based NativeEnergy LLC and The Climate Trust. Inconvenient? Sure. But it’s a lot closer to the truth.